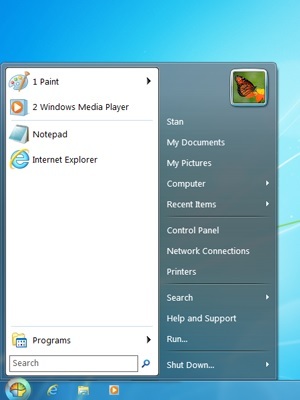 People have asked for a while, how to put the Start Menu from Windows 7 back in to Windows 8. Now, if all you’re looking for is a “button” – you’re in luck. There are quite a few rumors that Microsoft’s Windows Blue will bring back the Start Button. But that button simply brings up the Start Screen, not the Start Menu. At least, that’s the going theory right now. The idea seems to be that people can’t figure out how to get back to the tiles once they’re in the desktop, and finding the desktop in the first place can be kind of difficult. I can attest to that based on the number of searches and reads I get on articles on my website. Even simple things like Shutting Down Windows 8 actually get more than a few reads! I encourage you to check both out and see if something works for you. But me? I’ll be here… using the Start Screen, and waiting to see what Microsoft does with Windows 8.1.